The flames on and around the Temple Mount were fueled by external forces that were neither Palestinian nor Arab, it seems. While most of the Arab nations came together in an effort to defuse tensions in Jerusalem and the Palestinian Authority looked for a dignified way to climb down from the tall tree on which it had found itself, others sought to fan the flames and keep them high. As it turns out, Iran and Turkey, each in its own way, were fueling the fires by transferring money to Islamic organizations, some inside Israel, whose sole purpose was to recruit the Arab and Palestinian streets to continue the struggle to “defend Al-Aqsa” from the supposed threat posed by Israel. Turkey, which has full diplomatic relations with Israel and recently settled the Marmara dispute that clouded the once-close ties, is not the same as Iran, which declares daily that it aims to wipe Israel off the map. But the result was the same for both: a cynical attempt to fuel the fires on the Temple Mount so as to garner support for megalomaniac desires to gain influence and control over the Arab sphere stretching east of Iran and south of Turkey. 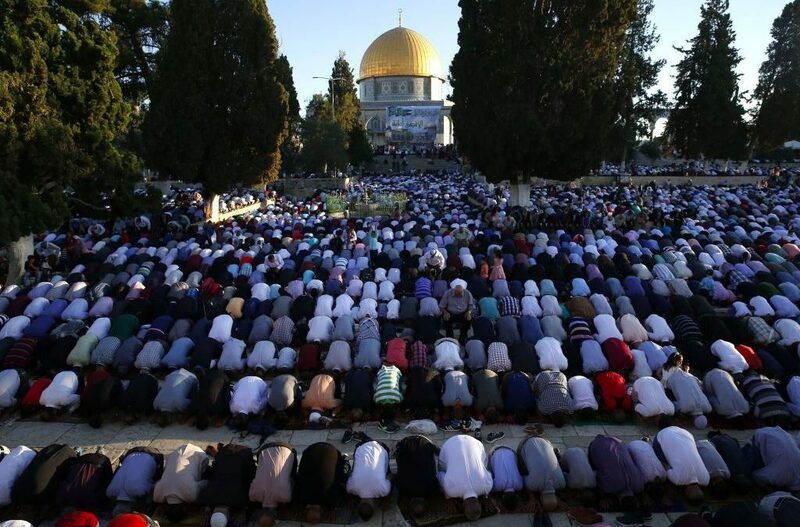 Still, it seems the ones who should be most concerned by Turkey’s and Iran’s growing involvement in the holy site and in the Palestinian and Israeli Arab populations are the Arabs themselves, and even more so, the Palestinians. It is not the best interests of the Palestinians or Israeli Arabs that guide Iran and Turkey, but the interests of the Iranian regime and the Turkish president, which are distinct from the interests of the people they rule. Moreover, as has happened numerous times in Palestinian history, failure and defeat begin when the Palestinians hesitate to make decisions and prefer, sometimes out of weakness, to trust their fate to others. This was the case before the 1948 War of Independence, when the Arab states took over and dragged the Palestinians into a terrible defeat, and this may also be the case this time, if Iran and Turkey drag the Palestinians into places that do not serve the Palestinian interest. The Palestinians would be wise to remember that Iran has always been willing to fight Israel to the last Lebanese, Palestinian or Syrian soldier, but it has never placed even one Iranian soldier in direct conflict with Israel.